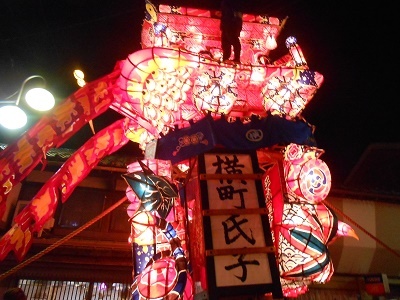 Fukuno Yotaka Festival was taken place on May 1 and 2, 2018. 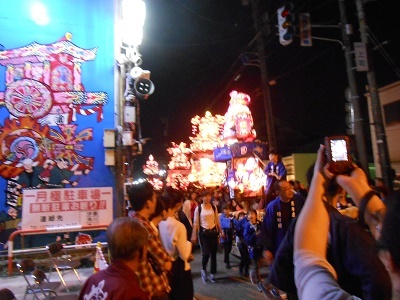 The streets were crowded with many spectators. 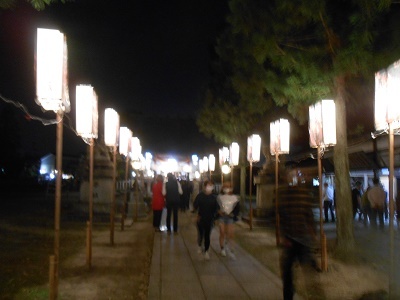 My customers from USA and I took a taxi from Kanazawa to see the Festival. Japan Meteorological Agency forecasted rain and stomy wind on May 2nd. 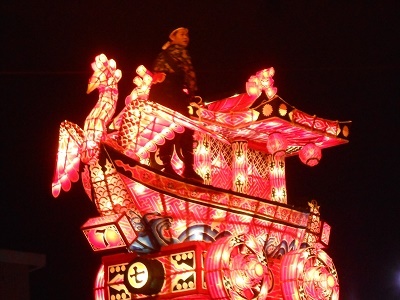 So, we went there on May 1st.This festival started about 366 years ago. Big fire destroyed almost all buildings in the village. Poeple there wanted to encourage distressed people and to pray the recovery of the village.The festival was really amazing, and worth visiting. 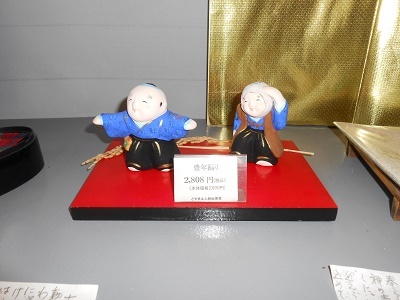 Toyama Clay Doll work was originally started about 150 years ago. 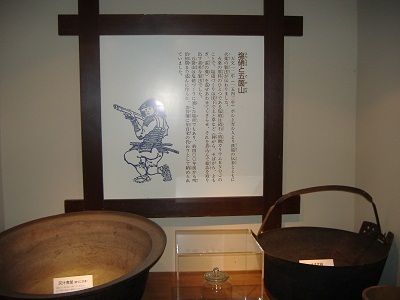 Toyama local lord, Maedo 10th generation invited a famous potter Hidenobu Hirose from Nagoya. 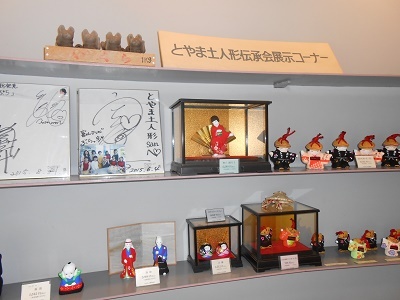 The skill of this traditional art work is handed down to Toyama Clay Doll Transmission Committee called ” Toyama Tsuti Ningyo Denshokai”. 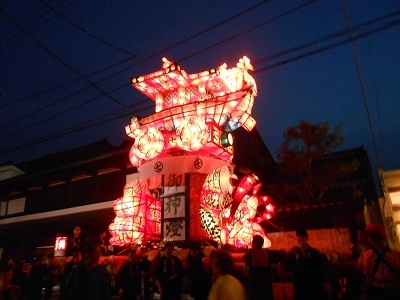 Owara local dance doll. 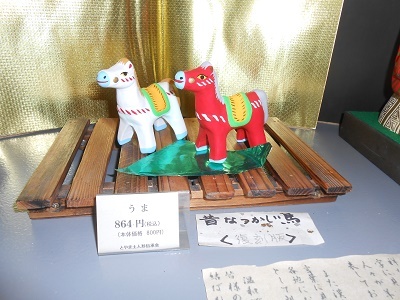 Doll of horse with legs. 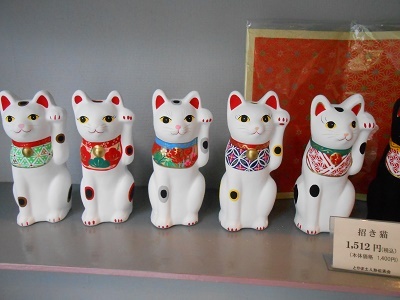 Beckoning figure cat doll. Toyama city on October 20, 2016. 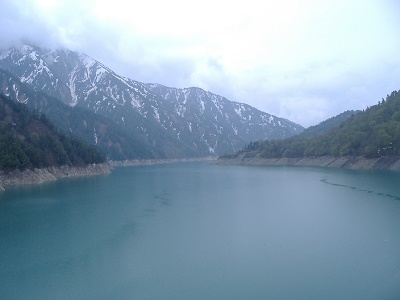 Fugan canal conects Kansui Koen park, which is located near Toyama Station with Iwase District of Toyama port. 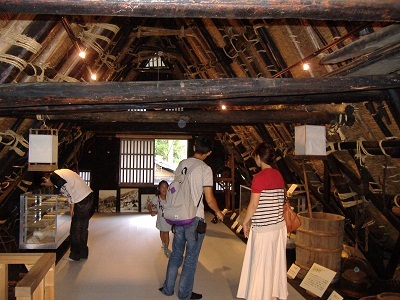 Morike is an old merchant house at Iwase District. 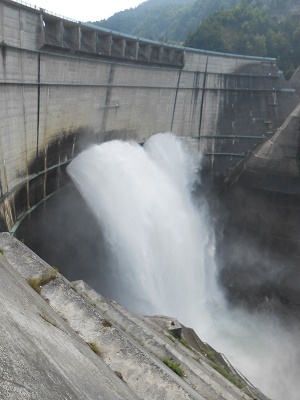 Nakajima Lock,which is situated in the middle of the canal works to lift ships or lower them when they go through the lock. 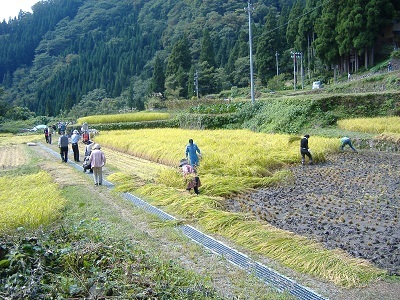 Azami is the city grass for Toyama city. 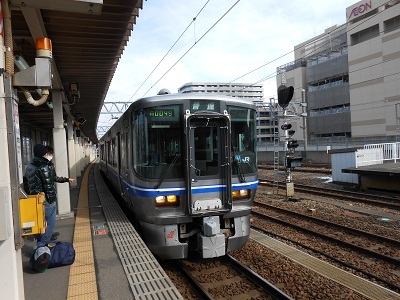 I took a local train at Kanazawa station around noon for Toyama on January 12, 2013, one day before Takayama tour guide for overseas customers. 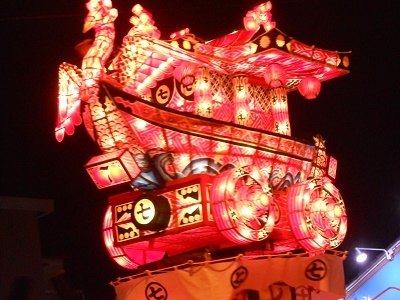 The train arrived at Toyama station after taking more than one hour. I changed the trains for Inotani around 2:00pm. 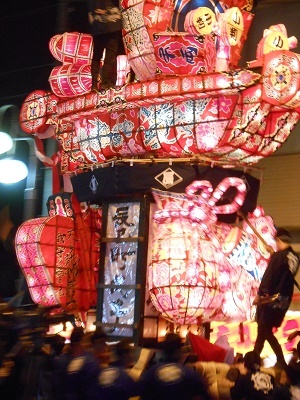 It took more than one hour to get to Inotani. 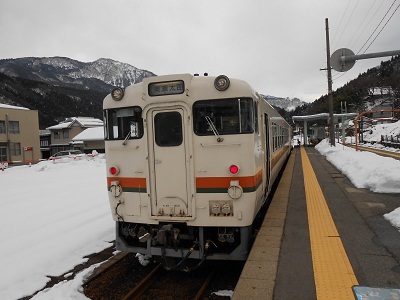 The train arrived at Inotani station, and passengers change trains for Takayama. 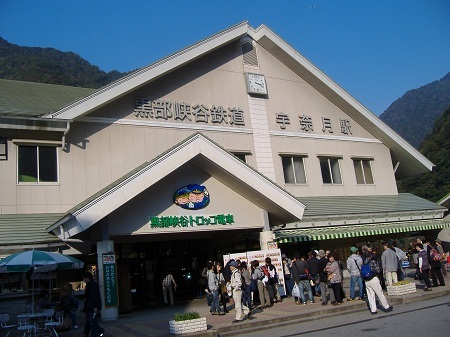 Inotani is the border station between JR West and JR Tokai. 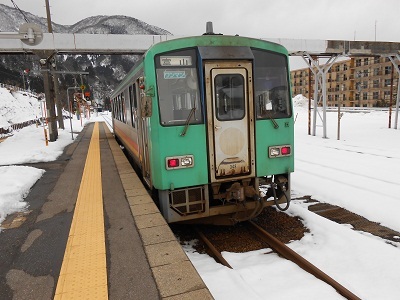 The local train for Takayama is waiting for the passengers from Toyama. 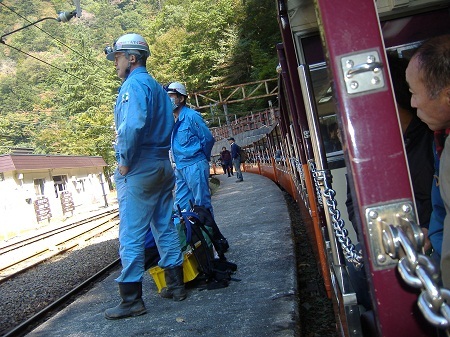 About 10 minutes later, The train started for Takayama. 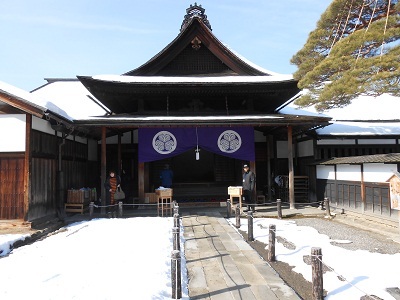 Snow covered Jinya, administrative office of Tokugawa government in the Edo period was impressive. 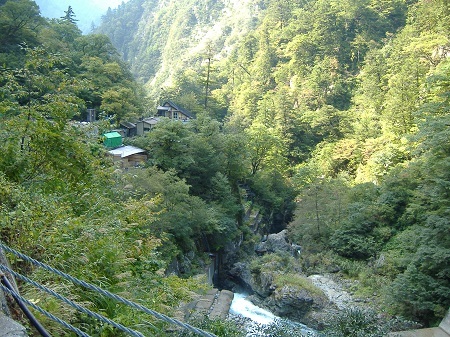 I guided overseas customers here on Jan.13, it was really fine day,and very much beautiful. 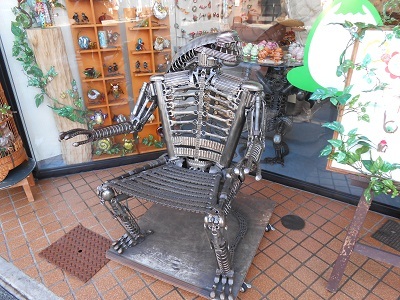 Iron chair displayed in front of a gadget shop draws strong attention from overseas customers. 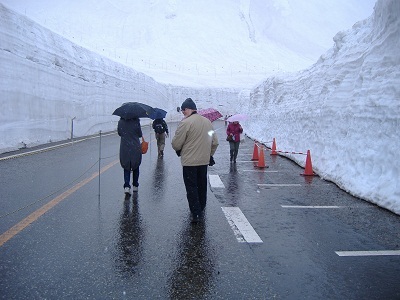 Tourists are walking between huge snow walls, wich are 14 meters high at high point. 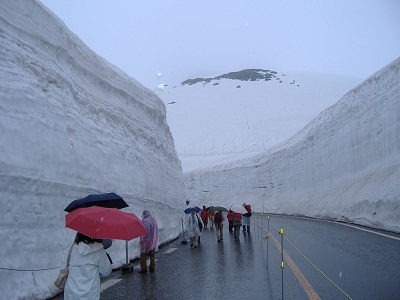 Snow walls is about 200 mters long. 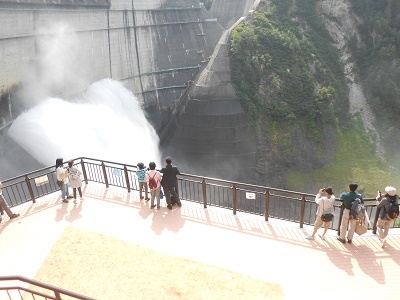 Sightseers enjoy walking. 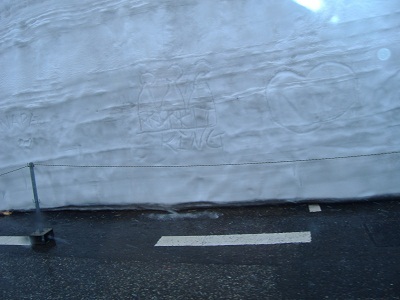 Drawings on the walls will disappear soon together with snow. Maybe acceptable graffiti. 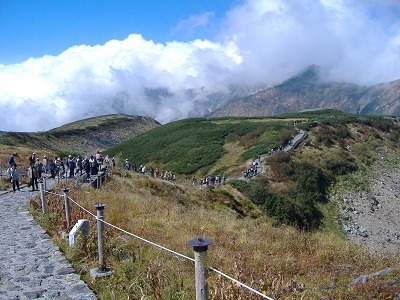 Tateyama Ropeway runs 1,700 meters long having no support pillar between the two stations. 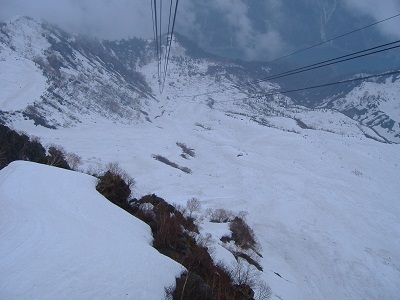 Ropeway wires run in the air and look massive. 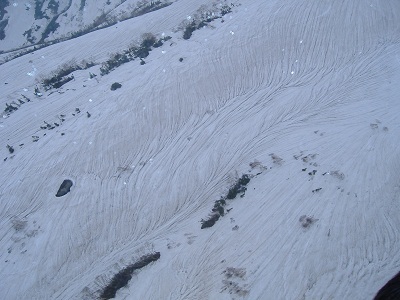 Snow stripes from the ropeway look artistic, but it’s the nature that makes them. 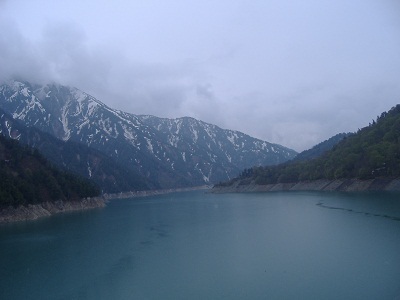 Kurobe Lake is calm and serene reflecting the emerald-green, which is surrounded with high mountains. 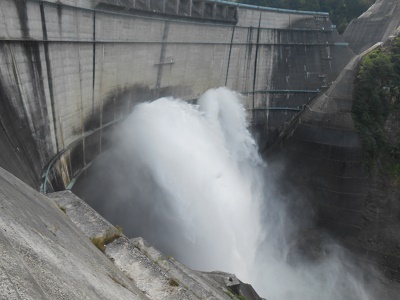 The Kurobe dam was built about 40 years age to supply electricity for rapid industrialization at that time. 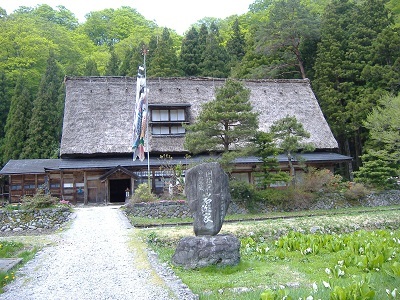 This Gassho farmhouse was built about 300 years ago. 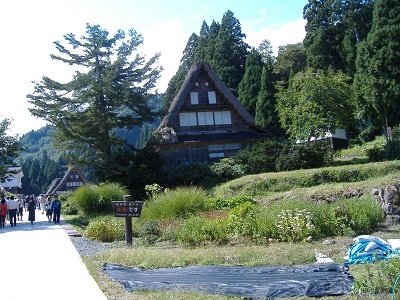 This Iwase-ke Gassho farmhouse is the biggest of all Gassho farmhouses reserved at present. 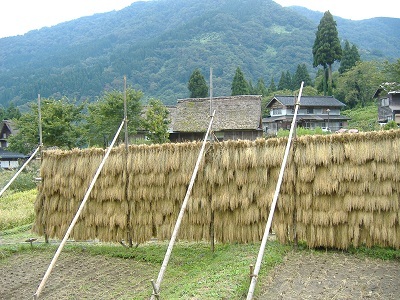 There are about 200 Gassho farmhouses left in Shirakawa-go and Gokayama area. 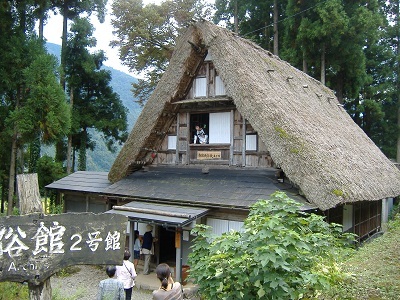 This house is designated as a national important cultural property. 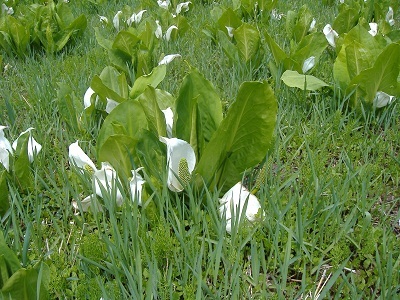 In front of Iwase-ke, skunk cabbages, called Mizubasho are in full bloom. 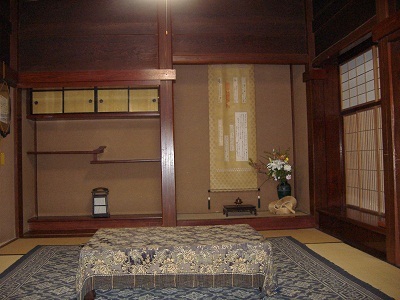 One of the room is built in the shoin style of traddtional samurai style architecture. It has an alcove and staggered wall shelves. 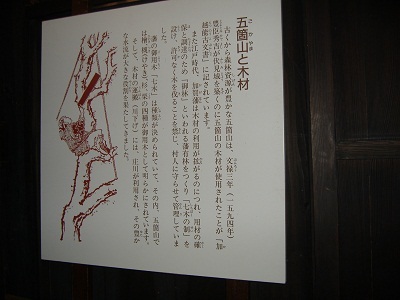 The Samurai officers from Kaga clan stayed in this house for regular inspection about the area land in the feudal period. 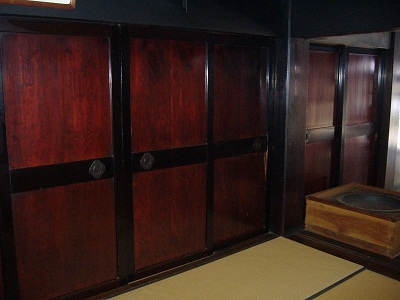 Broad Japanese cypress and ceder board sliding doors, called Obi-do are used to partition the rooms. 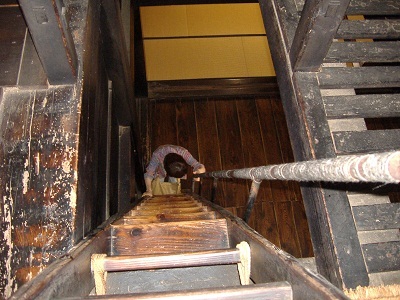 The steep ladders are installed to get to the 3rd, 4th and 5 th floors. 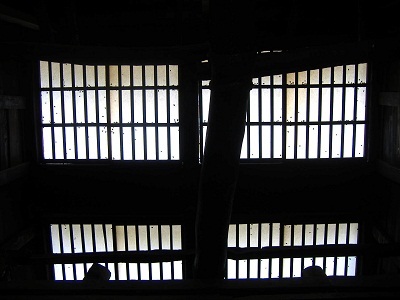 The third floor, fourth floor and fifth floor were use to silkwarm raising. 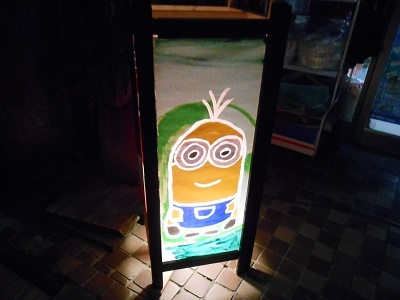 Paper sliding doors are installed for light. 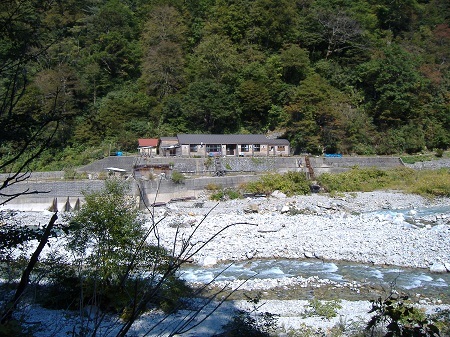 Unazuki is the starting station of Kurobe Gorge Railway. It takes 80 minutes to get to the terminal station, Keyakidaira running 20 km at the speed of 16 km per hour. 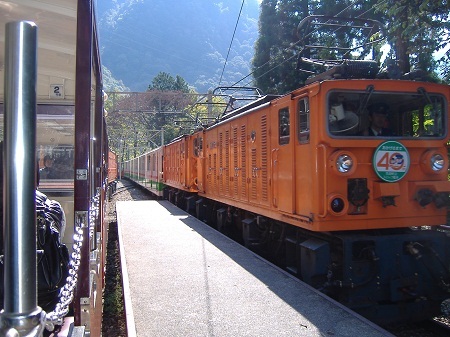 Torokko, electric locomotive draws many small carriages. you can guess the smallness of the train from the train driver. 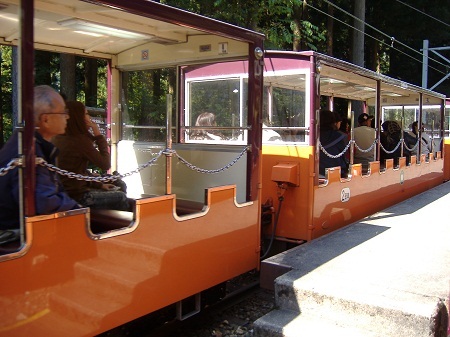 Open carriage has 4 person bench seat. 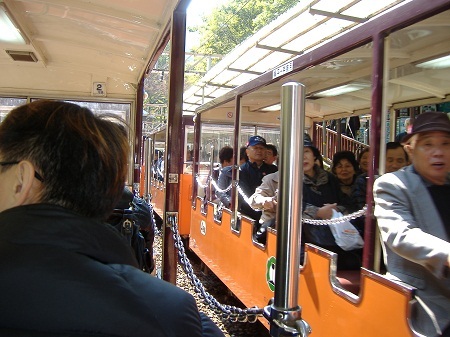 Men standing beside the carriages give you the image how small the carriges are. 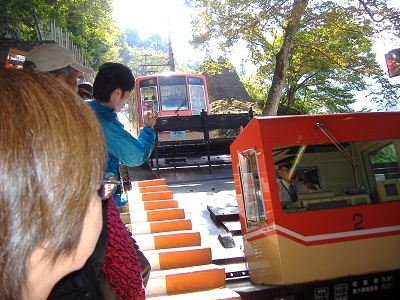 Passengers enjoy wide-view of beautiful gorge scenery from the open carriages. 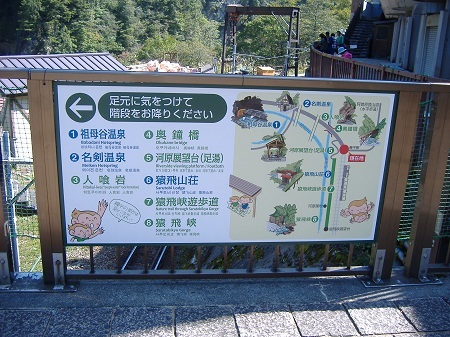 The picture guide map at Keyakidairo terminal shows you a trekking path. 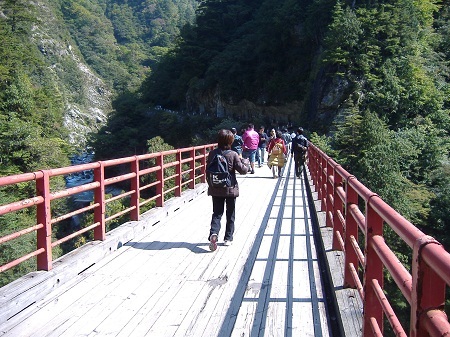 Red bridge called Okukane bridge crosses over the Kurobe river. 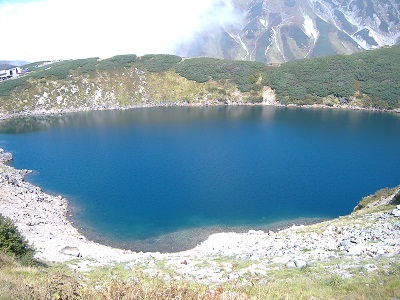 Hitokui-iwa literally means rock which is swallowing humans. Overhanging rock is really immence. 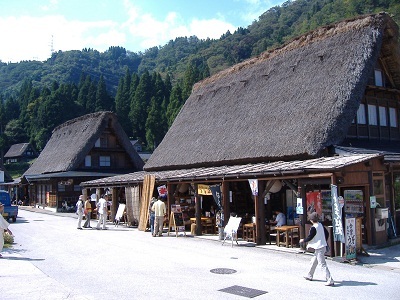 Meiken hot spring is located about 20 minutes walk from Keyaki-daira. 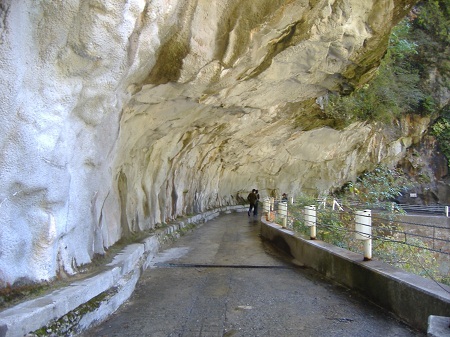 About 60 minutes walk through several tunnels brings you to Babadani hot spring. 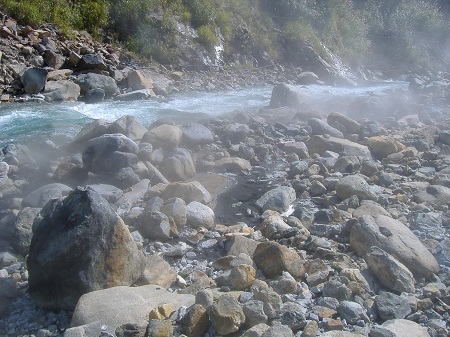 Steam is rising from the river bed. 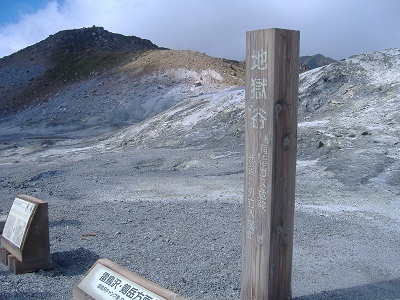 A source of hot spring. 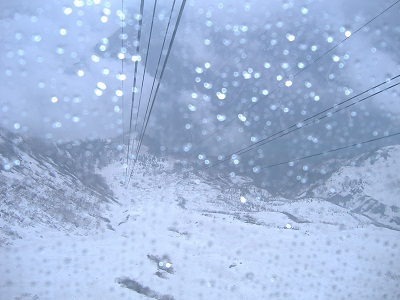 The cablecar starts at Tateyama Station and climbs the slop of 24 to 29 degrees in 7 minutes to reach Bijodaira. 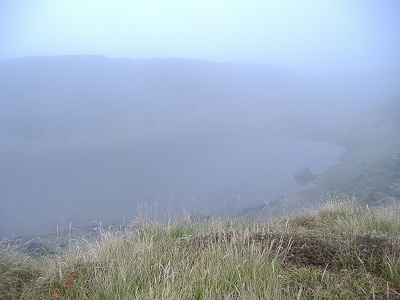 The altitude difference is 500 meters. 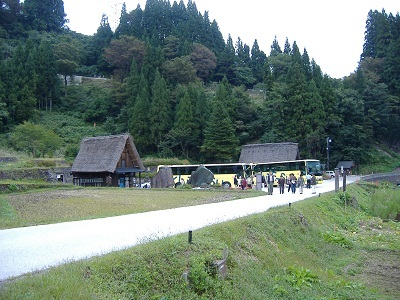 Passengers change to the bus to get to Murodo in 50 minutes. 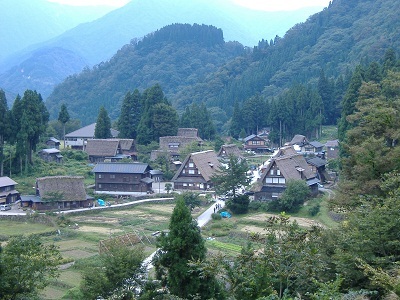 Murodo is 2,450 meters above sea level. 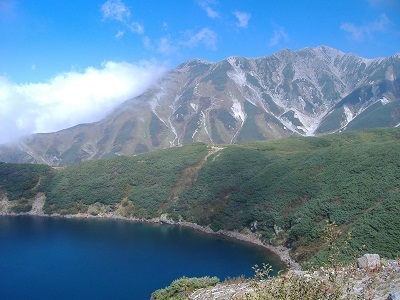 The right is Oyama, 3,003 meters high. 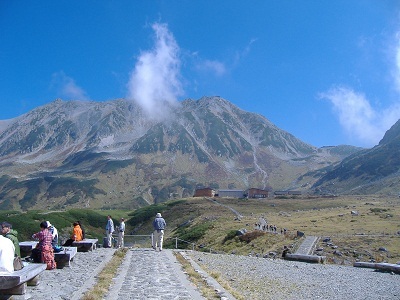 The center is Onanji, 3,015 meters high. 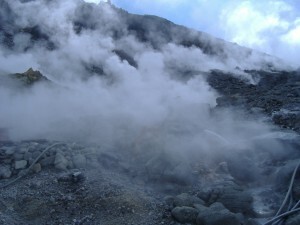 Dense volcano gas and steam rise violently. 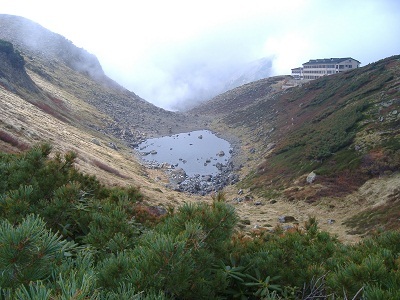 Hikers are walking on the designated walking path. 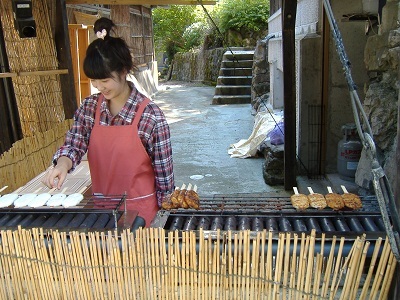 Goheimochi dumplings are cooked and sold in front of the customers. 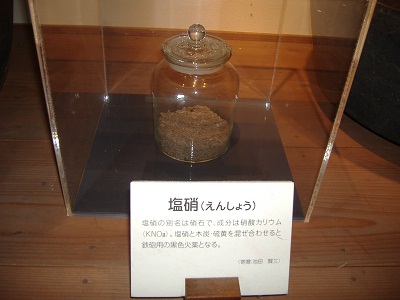 Gun powder was made and sent to Kaga-Han as a tax. 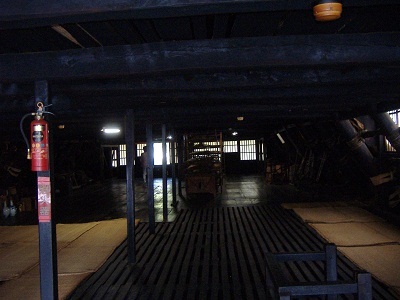 Lumber was one of the important business in the past. 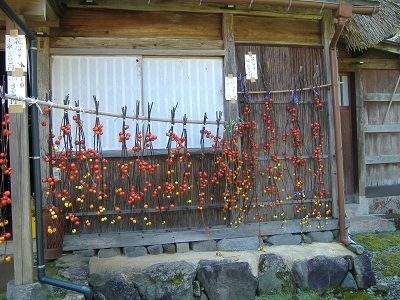 Colorful egg plants, Hananasu are dried and on sale for decoration.